This project sought to identify means to make road and weather information more usable and consistent. The project consisted of two parts. Part 1 identified past, current, or planned implementations of information provision services or systems that supply road and weather information to general end users. Part 2 was intended to facilitate development of guidelines for presentation techniques to suit the needs of the general road users for different types of information provided over a variety of media. Under Part 2, Aurora and ENTERPRISE began a joint project in to develop uniform messages for road weather information presentation. The results of this joint effort did not produce definitive guidelines. Therefore, human factors work needs to be done before icons and color codes can be posted on a website. 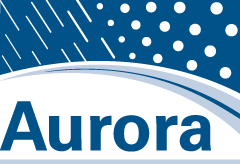 Aurora is investigating further opportunities to leverage this work.This project sought to identify means to make road and weather information more usable and consistent. The project consisted of two parts. Part 1 identified past, current, or planned implementations of information provision services or systems that supply road and weather information to general end users. Part 2 was intended to facilitate development of guidelines for presentation techniques to suit the needs of the general road users for different types of information provided over a variety of media. Under Part 2, Aurora and ENTERPRISE began a joint project in to develop uniform messages for road weather information presentation. The results of this joint effort did not produce definitive guidelines. Therefore, human factors work needs to be done before icons and color codes can be posted on a website. Aurora is investigating further opportunities to leverage this work.